This week’s Tuesday Talent is a Somerset Poet who I have longed admired. A founder member of The Fire River Poets. His first book The Talking Horses of Dreams (Iron Press) was a collection I returned to again and again, it repaid repeating readings, yielding its treasures slowly, dripping beauty like honey. When I first joined Fire River Tony was not only very welcoming, he was also supportive and skilled at offering both perceptive and constructive feedback. Enough of my prattle, let’s hear the man himself. I was very lucky to have an inspirational English master at school. In his hands, O level EngLit was not just a subject on the syllabus: it was a door opening on a wonderland of words. I thought: here, if anywhere, is where I belong. What keeps me going is the unparalleled satisfaction of having created something, coupled with a compulsion to tell the truth of things as they appear in the light of the imagination. They come in their own time and from no particular direction. Many of my poems celebrate the natural world, but I wouldn’t want to be classed as a ‘nature poet’. Is form important to you? Vitally important. When you write a poem you are doing two things: you are saying something but you are also making something. Form need not mean regularity. Good free verse (as opposed to chopped-up prose) may not be regular but there is a harmonious relationship between the parts, all of which work together to reinforce the poem’s meaning. Which poets have influenced you and why? I feel that every poem I have ever read and enjoyed and that made me think, ‘I wish I’d written that’, has probably influenced me, but if I had to name a few names, I might say A.E. Housman, Ted Hughes, Robert Graves and two Thomases (Dylan and R.S.). Read lots of good poetry by lots of different poets (anthologies are a good place to start): follow your nose and don’t bother with stuff that leaves you cold. Don’t worry about being original or ‘finding your own voice’ (it will emerge in due course): just concentrate on finding the best words and putting them in the best order. What pipeline? Poems, or rather the ideas for poems, tend to fall on me, infrequently, out of the blue (or more often grey) and initiate a spell of compulsive hard labour, though I do have a folder of ‘work in progress’ that I occasionally open, stare at for half an hour and close. If you were a poem, what would you be? A discarded early draft of The Wasteland. What is the name of your latest poetry collection? Walking, gardening, philosophy and music. I have a website, which includes a monthly Calendar of folk clubs, sessions, singarounds & open mics – it’s called The Acoustic Calendar for Wessex - http://www.sanchobramble.weebly.com . Yesterday I attended a creative writing day ran by a local poet, Elizabeth Rapp, at Dillington House (http://www.dillington.com/ ). It was a very enjoyable day, the weather was beautiful, the location was stunning, an old country house that had been sumptuously renovated and the company was excellent. What more could you want? 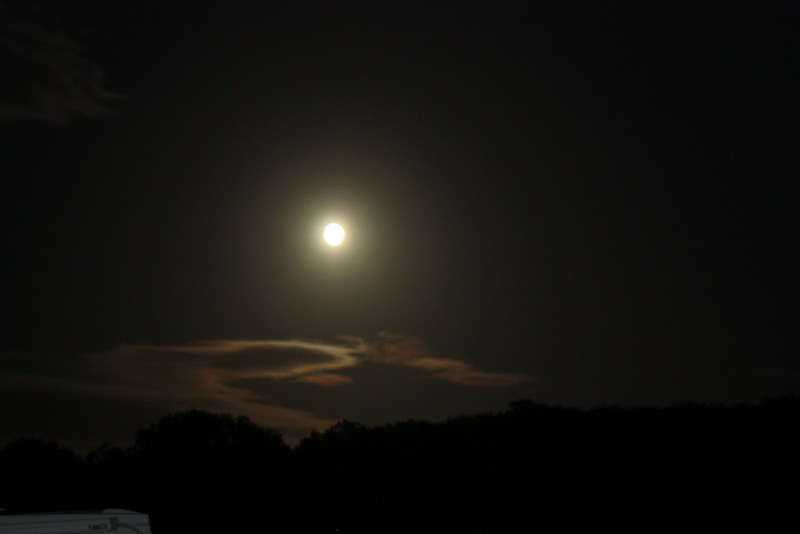 I especially enjoyed the challenge of being faced with a blank sheet of paper and the task of writing about the moon. Sitting here now I am reminded of the Paul Simon song (here’s a link to you tube-but it states that the song is by Simon & Garfunkel but it isn’t-it’s all Paul Simon http://www.youtube.com/watch?v=F-Zdm1vLpfk). Yesterday my mind was blank but I came up with this. The lodestone in its head. We hesitate, reluctant to leave the water. The sunrises on our wreckage. And it’s a simple narrative arc to follow. Will keep the pressure on. And resources to keep the war cold. It’s a peaceful use for all of that ICBM technology. Too much of a wild card, that one. Waste your one shot at the stars. Korolev did not agree-wanted a safer technology. Or at least to be able to fly again. He would crash and burn. I would like to be able to say that there was a hat trick on my part and that I was able to write a third poem that was ready to post-but I’m still working on that one-perhaps next time. So far on these Tuesday Talent posts the person reviewed or interviewed is alive and creating as you read about them. Not so this week. I want to showcase the work of Art Pepper, who between the early 1970’s and the end of his life in 1982 produced some of the most beautiful and honest music I have ever heard. That’s a huge claim I can hear you saying, it is. But for me, however, it is the truth. I am a jazz fan, have been since the late 1970’s when lots of different influences came together to point me firstly in the direction of John Coltrane then ever outwards to the whole glorious jigsaw that is the music we label jazz. Duke Ellington never liked the term, and Count Basie said in his autobiography, that there were only two types of music-good and bad. Call it what you will, jazz will do for today. Originally I saw the development of jazz, rather like the history I learned in primary school, all kings and queens, or the way the Bible describes an individual’s linage – Coleman Hawkins begat Lester Young, Lester Young begat Charlie Parker, Charlie Parker begat, well everybody. But I digress, the point of this post is to big up Art Pepper. Art began playing in the 1940’s, he played with Benny Carter, Stan Kenton, later in the 1950’s along with Chet Baker and Gerry Mulligan he was viewed as one of the leading exponents of West Coast Jazz. I find this period of his playing, while technically excellent , just not to my tastes. He sounds in hock to Charlie Parker, but all of those 1950’s alto saxophonists do, Bird (as Parker was known) casts such a huge shadow. Art had difficulties with substance dependency, and spent much of his life in goal. You can read about his life in the autobiography he wrote with his third wife Laurie (Straight Life http://www.amazon.co.uk/Straight-Life-Story-Art-Pepper/dp/1841950645/ref=sr_1_1?s=books&ie=UTF8&qid=1343139636&sr=1-1). It is a harrowing tale and not for the faint hearted, yet it is a story of triumph. By the middle 1970’s Art had got himself reasonably clean and he set about rebuilding his career. His playing from this time on was magnificent, and was always truthful, no matter how painful, he rose above the chaos of his life and played like no one else. At the end his life was a triumph, he was the best alto saxophonist in the world. You can hear what I mean on a series of recordings that Laurie has made available on her label Widow’s Taste (http://straightlife.info/ ). 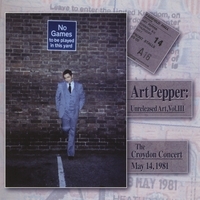 I would recommend the Croydon Concert (http://www.cdbaby.com/cd/artpepper3) a live recording that showcases Art at his peak. Similarly the Stuttgart Concert (http://www.cdbaby.com/cd/ArtPepper8 ) from 1981is an amazing record of great beauty, especially the tune he wrote for his daughter Patricia. There are many great recordings of Art out there, as well as the excellently recorded live sets mentioned above I would suggest you listen to Lost Life and one of my favourite lps of all time: The Trip (here is the title tune on you tube http://www.youtube.com/watch?v=SfhmYICFsDI ). And so-there’s nothing else to do, you know, and you’re very lonesome...you don’t have your freedom, you’re just one of a bunch of men...the things you took for granted as a free preson...become more and more important, and you begin dreaming about those things, just the idea of being able to walk and turn right or left, or just to be able to walk and breathe. Things other people don’t even think about... when I play, my hands and mouth are not my hands and mouth, they’re nothing but an extension of me, and the horn is the means instead of the voice. The sound that comes out of this thing, this piece of metal is just me saying these things and taking people on a trip...and that’s how I wrote The Trip...Every time I play it, it’s like taking someone on a trip. And if the rhythm section is really right and together, the way it is on this record, then it’s like a trip for everyone, like everyone is on this trip-thinking and looking off into space, except they’re doing it with sounds. I am not sure this post does justice to the beauty of Art’s music. Just go and check it out for yourself, who knows, it might take you on a trip. It has me for the past thirty odd years. I am cobbling this post together before I drive up to Leeds, a five hour drive on a Friday, for my brother's 60th birthday party. Sixty years on this earth, amazing. Though the nearer I get the younger I think sixty is. Anyway here are my humble attempts to describe a day. Sun creeps out of clouds. Why not write a haiku yourself? Have a good weekend. Regular readers of this blog will know that I have been blogging for just over a year, when I started I knew nothing about blogging and one of the blogs that gave me inspiration and support was The Eagle's Aerial Perspective (http://thegoldeneaglesblog.blogspot.co.uk/ ). Posting twice a week, the Golden Eagle is lucid, respectful, fun, informative, hardworking and writes eloquently on both the arts and science, a rare mix. If you have never looked at her site you are in for a treat. Recently she unveiled her new website, The Eagle Directory (http://www.eagledirectory.org/ ). It is a work of love and vision, well deserving of your attention. When I first visited the site I found an hour had passed without me realising. Yes it's that good. I am really pleased that Golden Eagle was kind enough to let me interview her about her new website and her blog. Their skill in the air and their overall elegance attracts me. I find them to be beautiful birds. 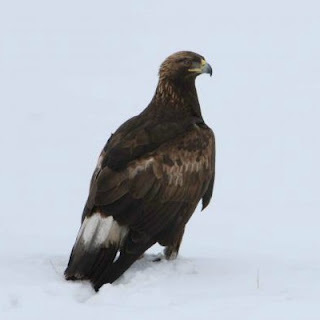 The Golden Eagle (Aquila Crysaetos) is my favourite eagle. I love the colour of golden eagles and the way they fly. HOW LONG DID IT TAKE TO PUT THE SITE TOGETHER AND HOW DID YOU GET THE IDEA? It took me almost a year exactly from start to finish: I spent a couple of months working on the design and figuring out how I could best present the content (in addition to deciding which content to include): the next next nine or so consisted of actually writing the content; and the last month I spent trying to find a good web host. I got the idea from thinking over subjects I liked and thought I could build a website out of. I wanted to learn HTML (the better to learn how to work my blog’s layout and design something that in the end, I ended up not changing at all) and thought that creating a site while learning the code would be a good way of cementing the information I had picked up. I’d definitely be more organised. I had numerous lists of edits and changes I wanted to make during the process, such as spelling specific words (savanna or savannah for example), category names , page links, how to present image copyrights and soforth which I wouldn’t have needed if I’d known them before hand. Of course, most of these would have been impossible to foresee until I made an error. ANY TIPS FOR PEOPLE THINKING OF BUILDING A WEBSITE? Define what you want your website to focus on, come up with a consistent (an readable design), and focus on developing your content so that it is written well. TURNING TO THE BLOG, TEASER TUESDAY IS A REALLY GOOD IDEA, HOW DID YOU COME UP WITH THE CONCEPT? I’m not the one who actually came up with the idea, I try to link her at the beginning of each of my own TT posts (sometimes I’ve forgotten to do so!) but the Miz B at http://shouldbereading.wordpress.com/ started the event. IF PUSH CAME TO SHOVE, WHAT WOULD BE YOUR FAVOURITE BOOK? The dictionary. Though if I had to choose fiction, it would be The Lord of The Rings. I’m not sure if I’ll be publishing any new websites for a while. The Eagle Directory seems to be relatively well at this point and I’d like to gather some more views before really digging into another project: also, I’m thinking about setting up a mobile version of ED because I’ve tested the site on mobile browser renders and it doesn’t look so good. I have considered, though, the idea of creating other raptor – orientated sites (The Hawk Directory, The Falcon Directory etc) sometime later on. WHEN ARE WE GOING TO BE ABLE TO READ YOUR NOVEL? Saying “someday” would be terribly non-specific, I guess. I’m hoping that something will be published, but I have yet to write more than three books and none of them have gone through an extensive edit or rewrite, which I’m sure they need. LASTLY IF YOU WERE A COLOUR WHAT COLOUR WOULD YOU BE AND WHY? Green. I enjoy its sense of calm and how well it goes with blue, another colour I really like. Thank you Golden Eagle. I for one can't wait to read that novel and I have suggestion for a future directory-Magpie Directory-sounds great to me. Why do you write? I write cause I don’t know how not to. Perhaps it’s because I do not switch off. I always have a note book with me. I think at least once a day There’s a poem in that and I attempt to write it. Most of the time I do not do the topic justice, but then I think that having caught something on paper perhaps at some point in the future I will be able to. I write stories because I live in my head and images and ideas run around my brain like puzzles, I know the pieces can be fitted together somehow, it just takes time to make it work. Then I stand up half confident that people want to hear my work and most of the times they do. That’s why I write-so why do you? 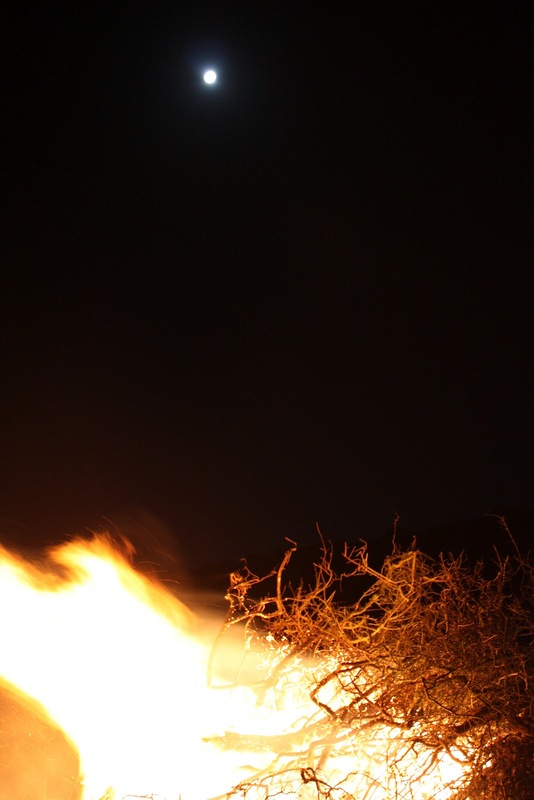 Here’s a couple of poems, the first is very old. I think I should explain the phrase character song, essentially it is describes songs from musicals that usually define the character of a participant, they dramatically advance the story but do not work as well outside of the context of the musical (You can read an interesting essay about character songs here: http://larryavisbrown.homestead.com/files/theater_topics/musical_theater.htm). An off the peg experience of life . Of someone other’s life and belief. I rarely play such songs. Or the cut too poor. But real things don’t come manufactured. The lyric takes a life time to learn. This next one is about a group I once saw when I was involved with the Chard Festival of Women in Music, sadly the festival does not exist anymore, it had its grant cut by the Arts Council in the early 2000s. The festival existed to promote women as composers and performers. I may have talked about this before, I can’t remember but one of the things I really liked about the festival was the outreach work it did throughout the year, running rock schools for young women. I loved going to the regular gigs they would put on, the energy and enthusiasm was amazing. I digress, the poem is about a performance by some band I cannot even remember the name of, essentially the group was dysfunctional and aggressive on stage-what’s unusual about that? Well the next day they blamed us, the support structure for the lukewarm reception and for the fact that they had overrun their allotted time to such an extent that the House Manager turned the light on and ended their set, she was waiting to close the building. There was this big scene, on their part, it was very sad. As an outsider I could see that the group was not a group. As the band decide to please themselves. Yet they cannot play for ever. Who turns on the lights. But there will be no resolution. This first and final tour. This last poem arose from a stray though one day, I had this image of the great Elizabethan poet John Dunne driving a car, just popped in from who knows where. I then wondered what type of car it would be, this set me thinking. The he’d take the bus. Big and red and sad. My limping second hand verse. I loved the allusion to physics, the particle versus wave debate, I was hooked. The song opens simply with the bass drum’s beat and builds to epic proportions. Epic is the right word, there is an epic quality to the ep, the lyrics intrigue and the arrangements hook you from the start, and the voice! 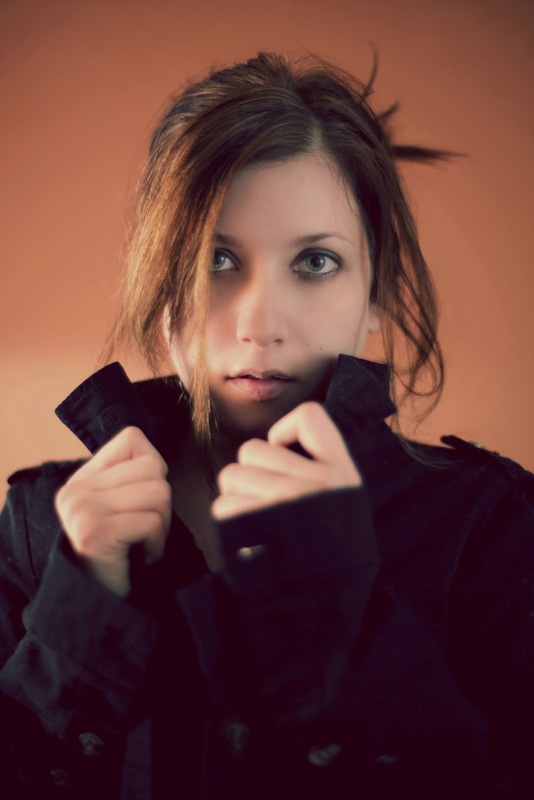 Hanna has a wonderfully expressive voice and uses it to full effect on both the new ep with The Overthinkers and on her debut cd Shapeshift (http://www.cdbaby.com/cd/hanamalhas2). This was recorded across two time zones and features a total of 17 musicians from America and Jordan. Hana (pronounced HENa) comes from Amman in Jordan and spreads her time between there and America, “Chasing”as she says “the summer from America to Amman.” She tours constantly either solo or with her band, The Overthinkers, a fluctuating number of musicians. I was recently lucky enough to interview Hana, thanks to the wonders of the internet. I had contacted her because I was so impressed with the quality of her cds, both musically and lyrically. How did you start to write? I was inspired by other singer-songwriters, how they use words and instruments to express, tell stories - especially with the energy of a live show setting. I was classically trained growing up, orchestra geek and all, but I found much more creativity in songwriting and messing around with the piano and guitar (which I picked up later). I grew up listening to Cat Stevens, Elton John, Beatles, Michael Jackson, Barbara Streisand, early Jewel, Sarah McLachlan, Tori Amos, Guns n Roses, Bon Jovi, Bee Gees, Simon & Garfunkel. These days, I'm drawn to the songwriting of - Sia, James Vincent McMorrow, Brandi Carlile, Fink, Adele, Feist and Ray LaMontagne. In the sense of music creation as a lifestyle - I'm influenced by all the artists that I've shared stages and collaborated with. How do you write, what floats the creative boat? No set formula really... Whether the music or words come first, the process seems to always be driven by emotional experience, even if I'm not writing from my perspective. I also like revisiting phrases, both lyrically and melodically. For me, the craft of songwriting takes time. I don't really have a favorite color, but I do have specific colors assigned to the days of the week. Seriously. Someone once told me that's called synesthesia. For the record - Thursday is orange, Friday is black, Saturday is blue, Sunday is green, Monday is purple, Tuesday is red, and Wednesday is yellow. I just released an EP 'Hana Malhas & The Overthinkers', co-produced with Michelle Chamuel (Thick Glasses Music). I celebrated with an amazing cd release party at the Ark in Ann Arbor, Michigan. That was one of my favourite shows to play - because the venue is an artist's dream, but also because I was joined on stage by the Overthinkers (the name of my band). Sometimes we are just two or three, but this time we were 7. Such a beautiful exchange of music energy! Also, I just released (my very first!) music video for the first single off the EP, 'Just a Dream' (directed by Ali Saloum) (http://www.youtube.com/watch?v=h1iicLLf77k&feature=youtu.be ). This was a lot of fun to work on. What's in the pipeline? What exciting things have you got planned for the future? There are tentative plans for 2 more music videos for 'How We Love', and 'Run', and I'm hoping to perform more shows to promote the album. Currently I'm traveling in the Middle East, working on lining up a few performances here until I return to the US in the fall to hit the East Coast. Someone mentioned I should stop over and play a gig in London on the way back. Who knows - anything is possible! I'm also hoping to take some time to write more material. There are a couple of Arabic songs that might make an appearance soon, one of which is a remake of a classic from Mohammed Abdel Wahhab. What do you think we need to know about you? I probably should mention that I was born and raised in Jordan (I sing mostly in English, but sometimes in Arabic too). I just moved to Atlanta after years of living in Ann Arbor, Michigan, and I'm excited to explore the music scene there. I’ll keep you informed if the London gig comes off, I for one shall be there. Do yourself a favour and listen to the new ep and the cd. OK, that’s the title of an album by the late, great John Martyn, but I have literally just arrived back from said city and I did have conversations while I was there. Principally with Nick, photographed with me at the private view of his new exhibition, about the possibility of publishing a book of art work and poetry, watch this space. The exhibition is amazing (http://www.paulmcphersongallery.com/2.html ), and would urge you to go and have a look if you are in London over before the 14th. I met some interesting people and some talented artists-more of those on a future Tuesday Talent post. The evening sky was beautiful and after weeks of drizzle and summer being conspicuous by its absence I thought I would share some of the photographs I took. This is the sky outside of the gallery about 8.30 pm. I have not quite captured the lovely herringbone clouds or the intensity of the setting sun. This is outside the Cutty Sark pub by the river in Greenwich. Again I think the colours are a little washed out, but it was lovely just to see the sunset. The face of the river has changed over the twenty years plus years I have been coming up to see Nick. 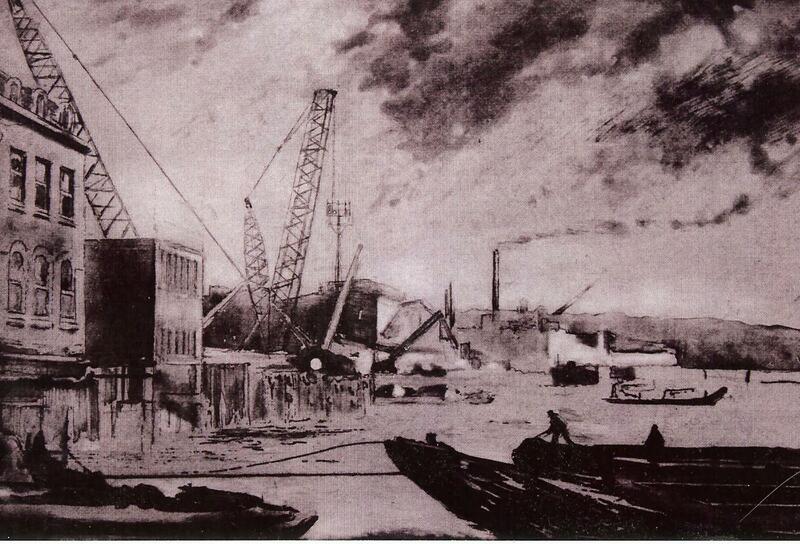 The Victorian industrial landmarks are being steadily replaced by anodyne apartment blocks. Last night was the grand opening of the latest skyscraper, the Shard. This opening consisted, from my Greenwich vantage point, of two lasers aimlessly pointing up into the heavens. I was underwhelmed, mind you; do we need more shopping arcades and penthouse flats? I think not. We are leaving the future a bland homogenous concrete wasteland of franchises and empty buildings. But enough of that. I want to celebrate Nick’s skill and his art. Here is a poem that I wrote back in February after the last time I visited Nick. These things he has combed from the river’s edge. Registers them on copper sheets. He will swim through the cycles of time. What do you think? Do we live on trough what we create? Or is it simply the art that survives? 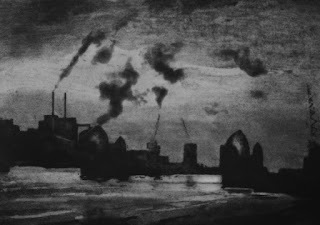 Nick Richards is one of my favourite artists. He was born in Cambridge and studied Fine Art at Bristol Polytechnic and print making at the Royal College of Art. He has lived in London for as long as I have known him and from the 2nd - 14th July has an exhibition at the Paul McPherson Gallery, Greenwich (http://www.paulmcphersongallery.com/2.html). 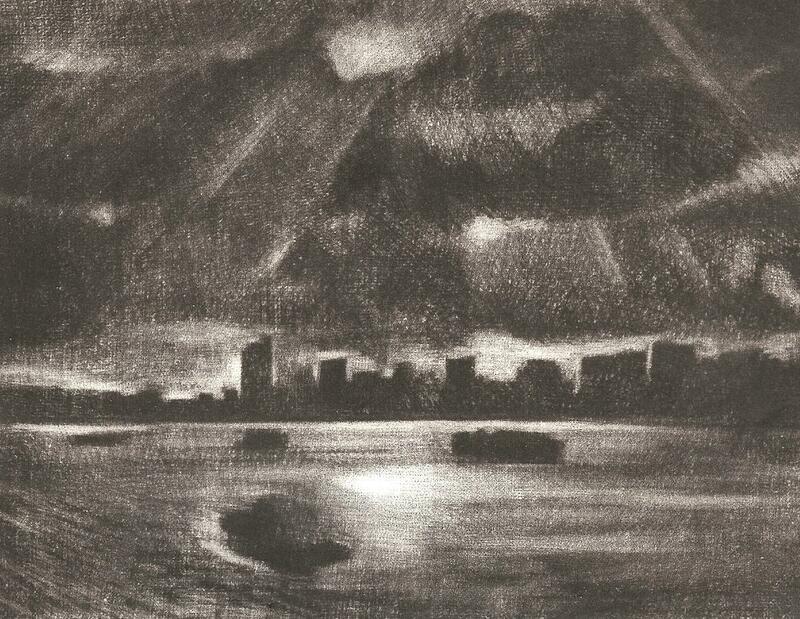 Nick has been fascinated by the architecture and the landscape of the city for many years. Though I have to say the quality of my scans do not do his work justice. 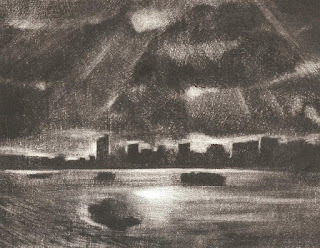 One of the things I particularly like about Nick's art is the dream-like nature of his work. We know this is London, caught though the lens of his eye and expressed a series of line scratched onto a sheet of copper or zinc. But there is an otherness to his work that leads me to lose hours staring into the finished print. This one on the right was a Christmas card about five years ago. It has sat on my mantelpiece ever since and I delight in the river, its cross currents and reflections. The sunlight breaking through the dense clouds. 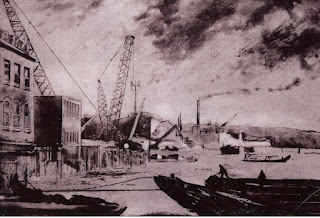 The etching on the left is a new one, produced specially for the exhibition, yet I am sure I could walk down that wharf, stop and watch the cranes unload the barges docked on the right. As I say the quality of my scanner lets down these works of art. For years now I have been writing poems inspired by Nicks work. I have one hanging in my sitting room, an etching of a man in a suit, hands in pockets walking a tightrope strung high up in the air, between two tall buildings. He is oblivious to his predicament, caught at midpoint on the wire. I wrote this poem, it is dedicated to another of my friends who still works as a social worker. Some days the details obscure this fact. Who crashed and burned to land intact. For the disadvantaged and the poor. Whose selfishness we all deplore. Their arrogance causes us all grief. I am off to see the exhibition on Thursday and will tell you all about it in the next post. Though that may be Saturday rather than Friday.